Gorgeous quilts on the walls! Wonderful space. Thanks for the tour. Thank you very much. 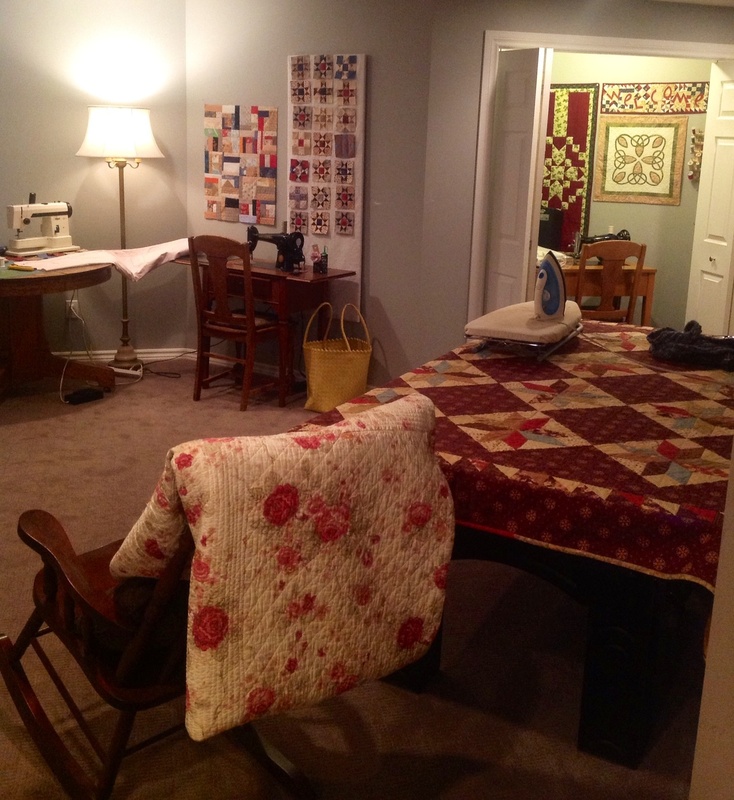 The last year, I have been busy learning to sew garments so not much patchwork has been done lately. 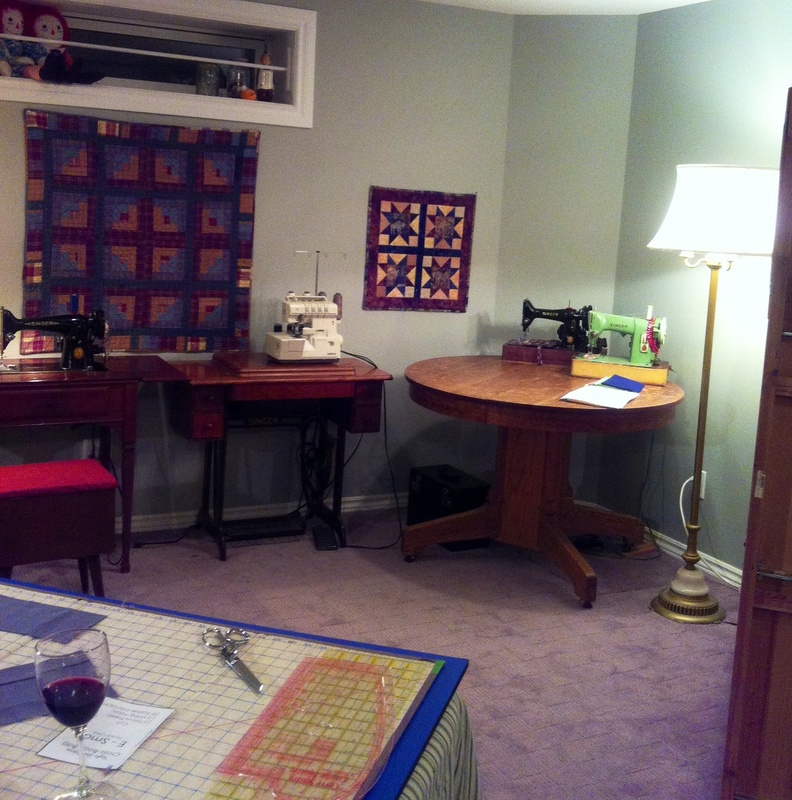 What a wonderful sewing area! I am totally envious! Organized and expertly decorated. Beautiful Quilts! 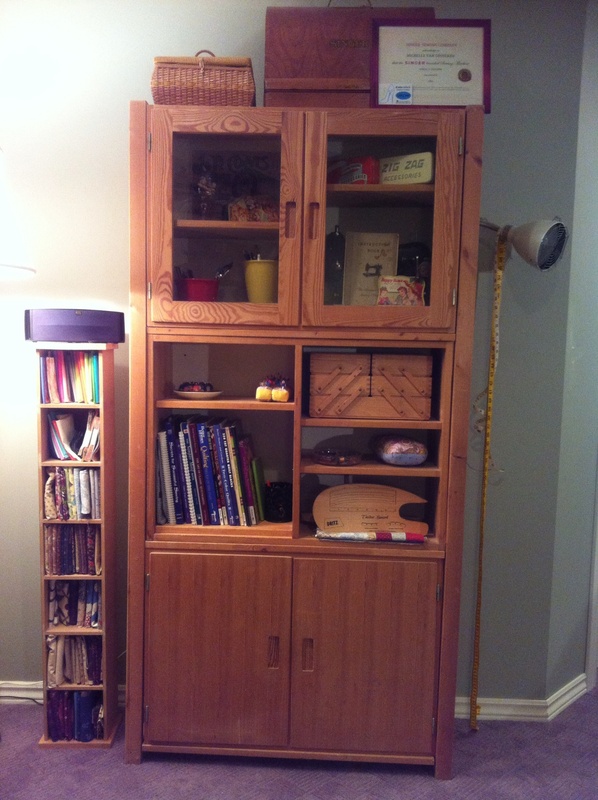 I have a corner in my living room with a cabinet to hide the clutter! Jealous! Thank you – it normally is a disaster area – with scraps everywhere and thread all over the floor….I really need to make a thread catcher! I try to clean it up between each project because if I don’t I can not even find a pair of scissors. 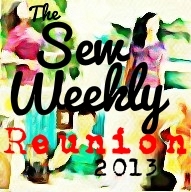 Looking forward to finding out what our mystery sewing project is for August. I was eying your muslin work on your blog – very inspiring! I love tour vintage sewing machines ! wish I had this much room. Thanks! Must stop collecting or it verges on hoarding! Think there are only a few more on my bucket list and they will one day be a surprise find.